Matthias Baeumler is an advisor to executives in resource and process industries for Strategy&, PwC’s strategy consulting business. 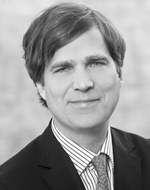 He is a managing director with PwC Strategy& Germany, based in Berlin. He leads the firm's chemicals business as well as enterprise strategy in Europe, the Middle East, and Africa. 11 Types of Strategic Maturity: Which One Describes Your Company? A quick interactive diagnostic tool shows whether your strategy is coherent, how well it stacks up against your competitors, and how you can improve it.